Primary producers are organisms in an ecosystem that produce biomass from inorganic compounds (autotrophs). 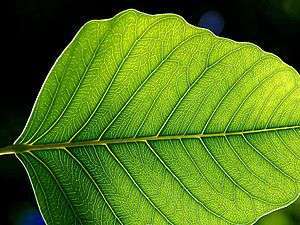 In almost all cases these are photosynthetically active organisms (plants, cyanobacteria and a number of other unicellular organisms; see article on photosynthesis). However, there are examples of archaea and bacteria (unicellular organisms) that produce biomass from the oxidation of inorganic chemical compounds (chemoautotrophs) in hydrothermal vents in the deep ocean. "Lichen Biology and the Environment". www.lichen.com.